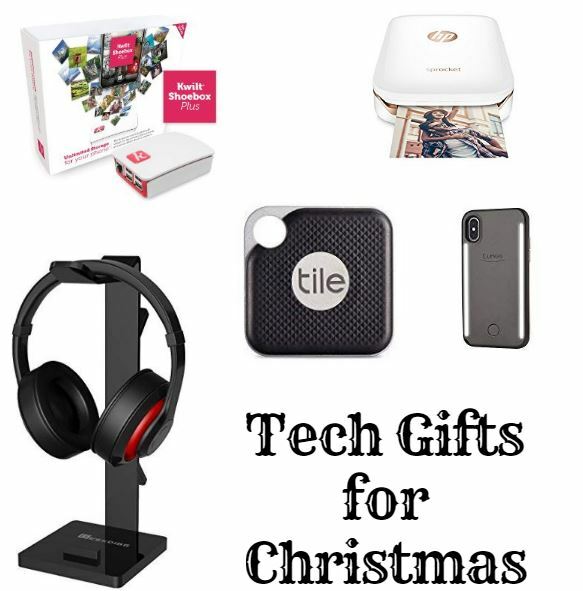 Got someone a little tech-y on your Christmas shopping list? Are you a little less-than-tech-savvy yourself? Here are some ideas to help you with your shopping. If you’re a little confused, it’s ok, I was too. But now that I’ve used it, it makes sense. You can read my full review here. Well, now that we’ve secured your cloud storage and secured your keys and wallet, let’s talk about securing your home. 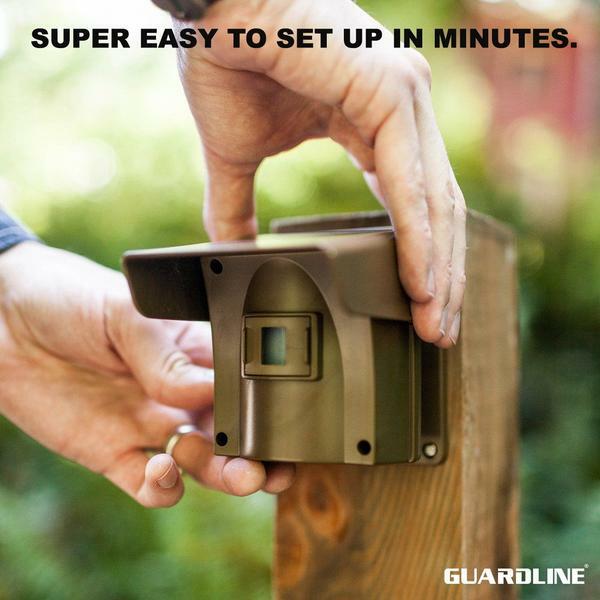 SUPER EASY TO INSTALL – Quick Start Guide has you operational in minutes! 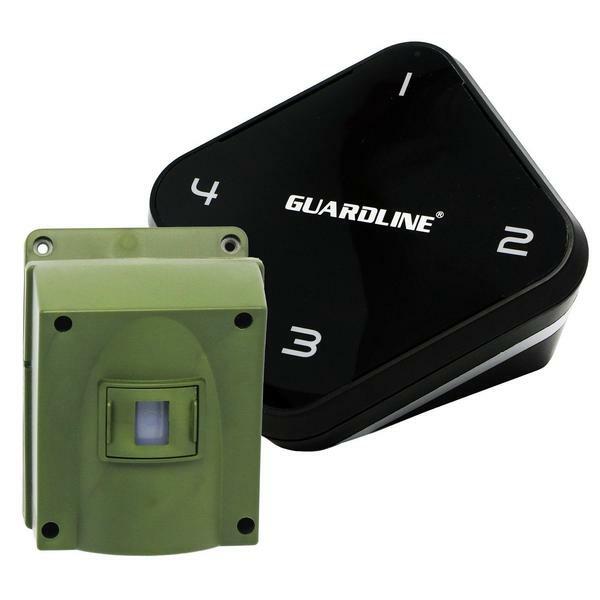 EXTREMELY DEPENDABLE – Two years of testing went into developing a reliable motion detector that will dependably alert you to motion around your property. And it’s your lucky day, because if you use code BETTERLIFE when you order here, you’ll save an additional $20! 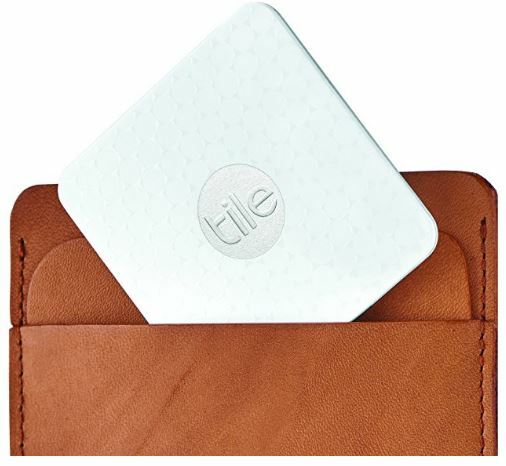 Like the Tile, I don’t know if this is an “I love technology” gift or a “I always forget if I closed the garage door” gift. But I’m thrilled over it! 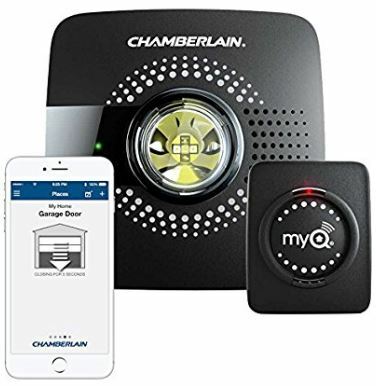 The MyQ Smart Garage Door Opener Chamberlain MYQ-G0301 – Wireless & Wi-Fi enabled Garage Hub with Smartphone Control retails for $79.99 thought I have seen it for $59.99 on Amazon. Are the techy AND active? Bluetooth Headphones might be the answer to all their problems – listening to music while running, answering phone calls at the gym, etc. This particular pair is only $9.99 making them a great budget gift idea! The 2nd generation Echo Show is set to release on 10/11. 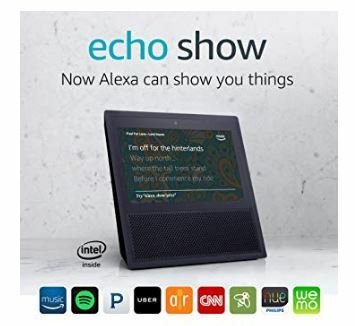 So you can get a great deal on a certified refurbished 1st generation Echo Show right now! 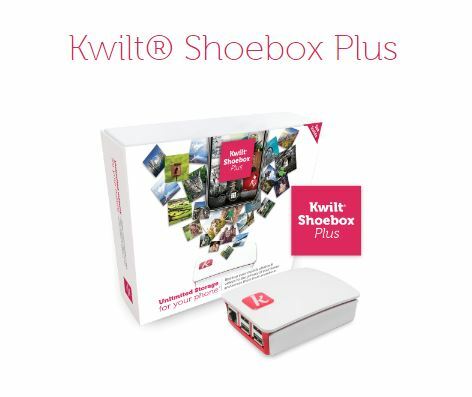 This is the gift your tech-loving Granny would love! These are handy little gadgets to have for people who use their phone or tablet a lot. They’re great gifts/stocking stuffers for tweens and teens. 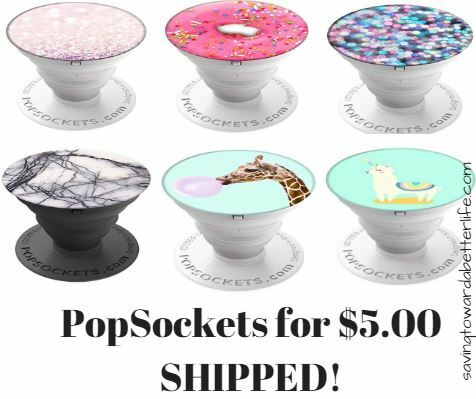 I have a list of PopSockets on Amazon for $5 to make them budget-friendly too! (Store prices will run you $10-$15). Do they love taking selfies for Instagram? Getting the right lighting for the perfect selfie is SO HARD. Unless you have one of these! The LuMee Duo Phone Case has front and back LED lighting to help you create the perfect photo! It’s also a bumper case with shock absorption. Stepless Brightness Control: Innovative two built-in brightness controllers enable you to achieve suitable light effect before shooting. Rotate the gear wheel to adjust its brightness from 0% to 100%, which ensures the light is soft and brighter. Easily customize your lighting brightness level via simple rotation. Each brightness control is an independent switch. Independent Warm and Cold White: Unlike other brands, Tycka Selfie Ring Light provides two color temperature options for you to create diverse light effects. You can use single light or mixed light, which will enhance your image and help to produce excellent photos or videos. Compatibility and Application: For all devices with thickness no more than 13mm, including but not limited to smartphones (for instance iphone samsung sony google nexus), pad, pc, laptop and screen. It also can be used as torch, emergency light, making up light and more. Warranty: Backed with 30-day money-back guarantee for any reason, 12-month warranty for quality-related issues. Here’s something else for the Instagrammer on your Christmas list – the HP Sprocket portable printer might be just the thing they need! Printing off social media photos has never been easier from your smartphone. Connect your social media accounts to the free-to-download HP Sprocket App and instantly turn those photos into colorful prints. 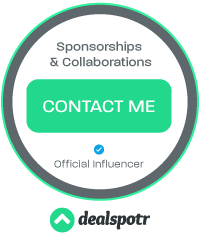 Sprocket uses seamless Bluetooth connectivity, so you can set it up at parties and events, and everyone can print their favorite moments from their smartphones or tablets. You can read more about the HP Sprocket here. Do they already have a Sprocket? How about a fun accessory bundle? At just $25.99, these headphones come with a lot of cool features and a 4-star rating! ❖Excellent Compatibility❖ Supports PS4, new Xbox One, PC, laptop, Nintendo Switch, PSP, tablet, and mobile phone. A Microsoft adapter (not included) is needed to connect with the original Xbox One. Adjustable headband is suitable for both adults and children. It will perfectly meet your demands for gaming, working, online chatting, broadcasting, and recording. ❖Super Cool Appearance❖ Breathing LED light effect with 7 automatically changing colors to enhance the gaming atmosphere. Unique, eye-catching, sharp appearance with many game elements. ❖Extreme Comfort❖ Extremely lightweight design (less than 335g), adjustable padded headband, skin-friendly over-ear earpads with top-grade softness and air-permeability. You will remain comfortable, without ear compression or heat, even after very long gaming sessions. ❖High Performance❖Professional gaming headset with high-precision magnetic neodymium driver. It provides you with a powerful stereo sound with rich details and deep bass. You can clearly hear the footsteps of monsters or enemies closing in. ❖Foldable Microphone❖ 120° adjustable microphone can be fixed at the perfect angle and can be folded up when not in use. The upgraded mic with advanced noise canceling technology reduces noise and ensures a clear voice collection and delivery. The in-line controller with volume control and mute key make it easy to adjust the volume and turn on/off mic during games. And be sure to protect your headset (trust me on this – we’ve replaced a LOT of gaming headsets in this household…ugh) with a stand! The Headset Display Rack uses ergonomics design, detachable & easy installation, cable organizer located behind the arm ensures headphone cables stay neat. Hanging headset, you are not afraid can not find you headset, and helping you tidy and organize desk, saving space. 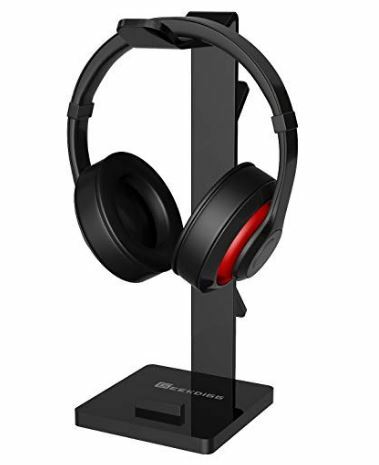 This universal and multifunctional headphone stand supports headphones of all sizes, such as Sennheiser 202 II HD598 HD 650 HD700, Dre Beats Beats Solo, Koss PortaPro, Sony MDR7506, Philips, AKG K612, Bose QC15, Hyper X Cloud II’s, Astro A50’s, AT M50’s, and TB 420x, Audio-Technica, etc. Also this 2in1 cellphone stand holder fits for Appler iPhone 7, 7 Plus, 6, 6S Plus, 5S, SE, Samsung smart cellphones or iPad air, 4, 3, mini tablets etc. 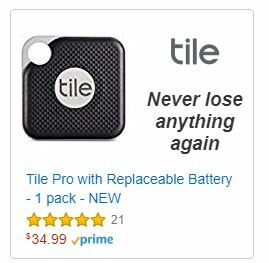 Includes a 24-month, worry-free guarantee. Maybe you know a gamer or someone who spends a lot of their time working on the computer that would love feeling like they’re working behind the controls of some super cool space ship or something with one of these floating, backlit keyboards! 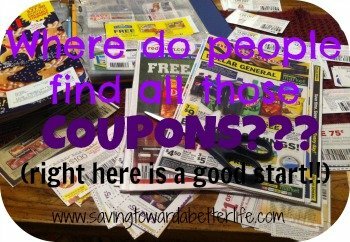 With several choices under $20, it would make a budget friendly Christmas gift! The one pictured above is the PICTEK Wired Chroma RGB Rainbow LED Backlit Mechanical Feel Gaming Keyboard and it is $18.99 SHIPPED when you clip the extra 5% off coupon. The NPET K10 Wired Backlit Floating Gaming Keyboard is $15.99 SHIPPED! And the Mafiti RK100 3 Color LED Backlit Keyboard is $14.99 SHIPPED. Great choices for a budget friendly gift!